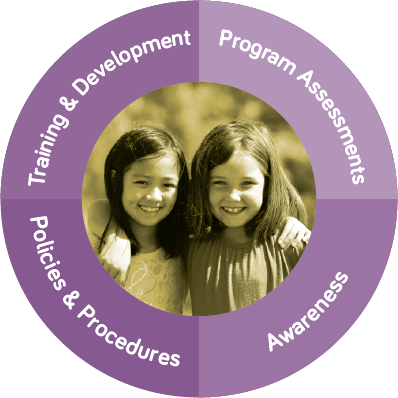 HIGH FIVE® is Canada's quality standard for children's programs. Before HIGH FIVE, no standard existed and there was a clear need for an innovative approach to help organizations enhance program quality and provide positive experiences for children, which would remain with them for a lifetime. We encourage you to learn more about who we are and visit the Take Action section to see how you can bring the HIGH FIVE difference to your -- or your child's -- organization. We encourage you to learn more about the HIGH FIVE difference and why it has become the standard of excellence for children's sport and recreation programming. Please take a short quiz to find out what quality means to you. In 1994, a group of visionary leaders recognized that there should be a standard that organizations could use to ensure children were safe, happy and getting the most out of recreation and sport opportunities. After all, research showed children’s experiences in sport and recreation programs have a life-long impact. Positive experiences help children become more confident, likely to remain physically active throughout their lives and contribute more to the community. ... with that, HIGH FIVE was born. The interactions between the leader and children are the foundation to future participation and HIGH FIVE should be offered in every recreation setting.